Worried about West Nile Virus? We knew it was coming. We watched it zigzag across the country from New York state in 1999, where it killed seven people, through the Dakotas to Colorado and finally, last year, into California. As West Nile Virus (WNV) has made its way across the US, aviculturists have become increasingly concerned about protecting themselves and their birds from the mosquitoes that transmit this disease. We knew we could not stop it. All we can do is reduce its impact. 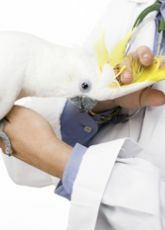 (WNV) is a virus spread by mosquitoes that primarily affects birds, humans and horses. Mosquitoes become infected when they feed on infected birds, which may circulate the virus in their blood for a few days. Infected mosquitoes can then transmit WNV to humans and animals while biting to feed on them. Research indicates that when the temperatures drop below 50 degrees Fahrenheit the life cycle is arrested. When the temperature hovers around 50 degrees, the mosquitoes take the longest to mature but live the longest. When the temperature approaches 90 degrees, the life cycle is at its fastest rate but the mosquitoes die most quickly. Only female mosquitoes blood feed. It is a common assumption that a female can bite a maximum of three times in her lifetime. The blood-feeding events occur at intervals of 5, 15 and 25 days after the mosquito emerges from the pupa stage. The blood-feeding process is important since WNV is transmitted to the mosquito via biting an infected avian and only WNV-infected mosquitoes can transmit the disease. The primary host for the mosquito is the American crow of which there are approximately 3 billion in the United States alone. The crow is a good indicator of West Nile virus because it amplifies the virus in its system making the virus more lethal to crows. Once a crow is bitten by an infected mosquito, it can transmit the virus to other mosquitoes when the other mosquitoes come to feed on the infected crow. Humans- Symptoms generally occur 5 to 15 days after the bite of an infected mosquito and range from a slight fever, headache, rash and conjunctivitis to the rapid onset of a severe headache, high fever, stiff neck, disorientation, muscle weakness, coma or death. Animals � Symptoms are lack of coordination, stumbling, circling, falling, weakness or partial paralysis of limbs; muscle twitching; an inability to rise, drooping lips, smacking and grinding teeth. If you observe any of these signs, contact a veterinarian. Clean water containers: bird baths, plant saucers, clogged gutters, etc., at least weekly. Check items such as discarded tires and trash can lids for standing water. Keep swimming pools optimally chlorinated and drain water from covers. Stock water tanks with fish that consume mosquito larvae (local mosquito control may provide assistance) or use mosquito �dunk� available at hardware stores. Use approved mosquito repellents containing DEET and traps which attract the egg laden females to prevent them from biting and infecting you and your flock. Keep your pet indoors at dawn, dusk, and the early evening. Two different vaccines are available for horses only. The timing of these vaccines is critical because they must be administered prior to disease exposure. Contact a veterinarian for advice. Horses infected with WNV are not contagious. A mosquito cannot bite an infected horse and spread the virus to another horse or person. Horses and birds are not known to spread WNV to people. 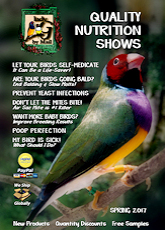 If you find a dead bird call 877-WNV-BIRD. Note the bird�s location, type and condition. The bird should show no signs of decomposition or maggots. Battle the mosquito that may transmit West Nile Virus! Mosquitoes are known to transmit diseases such as Equine Encephalitis, West Nile Virus, Avian Canary Pox and others. 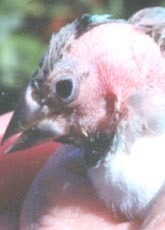 When they bite an animal or bird infected with a disease, they go to lay eggs and come back to bite again. It is this second bite that transmits diseases. 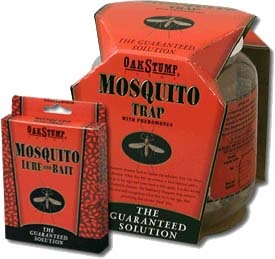 The Mosquito Trap attracts, catches and kills mosquitoes when they try to lay eggs, thus preventing that second "fatal" bite. Use all season long. Starting as soon as day time temperatures exceed 50 degrees F. Traps placed early in the year will produce lower summer mosquito population. Traps are re-usable, non-toxic, and safe for the environment. Additional Lure contains 1 pheromone-based replacement lure, available separately.